Pictured (l-r) Head of Civil Defense, Fr. Lydon and Mayor of Trujillo, and the regional general of the National Police. On Dec. 27th, Fr. 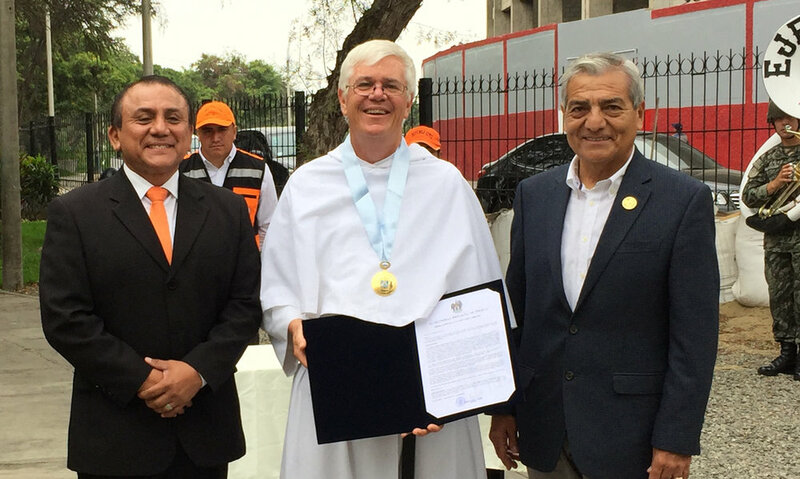 John Lydon, O.S.A was presented the with the Medal of the City by the Mayor of Trujillo for his "contribution to the field of education and culture in the city of Trujillo and the state of La Libertad." Older PostAugustinian Sisters Proclaimed "Blessed"